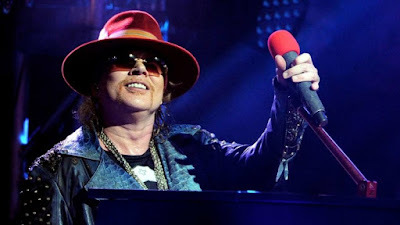 Some fans have recorded audio of Axl Rose rehearsing with AC/DC in Lisbon, Portugal for the band's May 7 concert in the city. The featured songs are "Thunderstruck" and "Shoot To Thrill". You can listen the audio below.